New and improved! 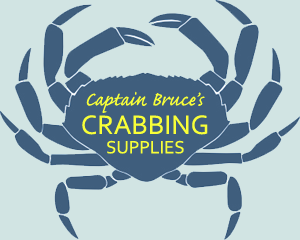 Removable prop sticks are designed by Captain Bruce and can be used on any boat mounted. 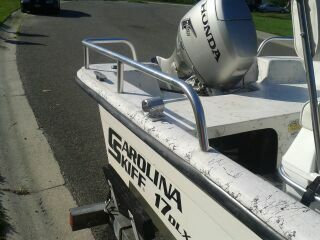 This prop stick can be customized for your boat. 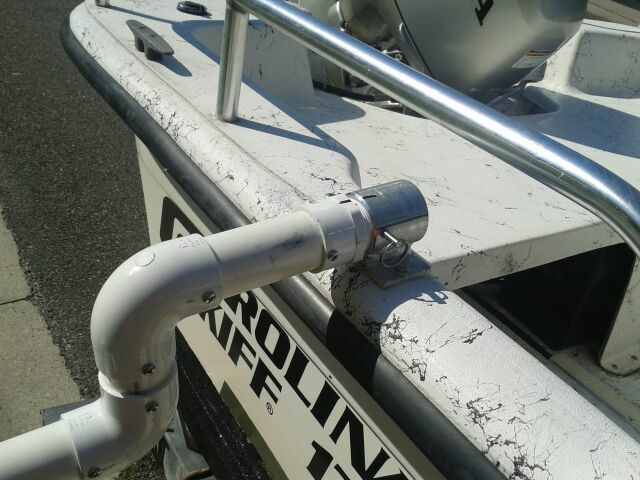 To mount your prop stick, all you have to do is just drill two 1/4" holes on the top of the side of your boat and mount the base, screw the prop stick into the base mount and put in the bolt and nut in to prevent the prop stick from turning. And when you are finished crabbing just unscrew the prop stick and leave the base for the next trip, or put studs in your boat and secure base with wing nuts. 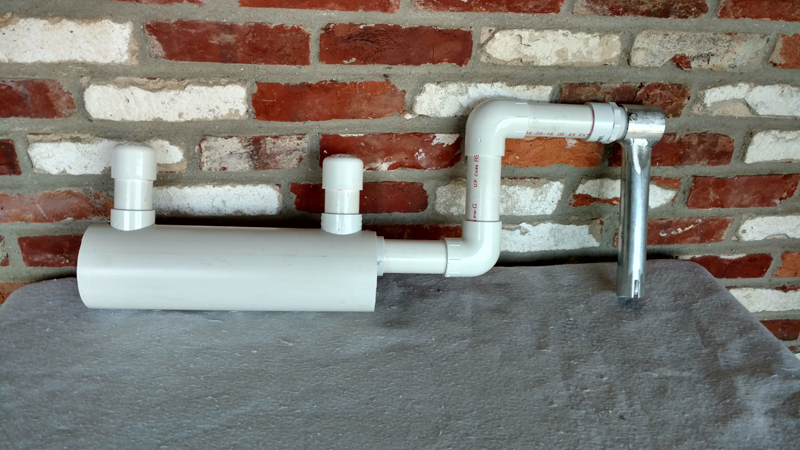 Made out of 1 1/2" PVC pipe overall length is 32" (6" between "field goals," 24" from inside of base to center of "field goal" to allow plenty of room for dipping). 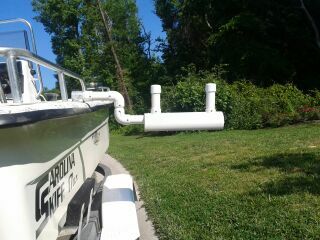 Easily modified for any boat by cutting the PVC pipe and gluing a 1 1/2" coupling with a correct size piece of 1 1/2 PVC pipe. 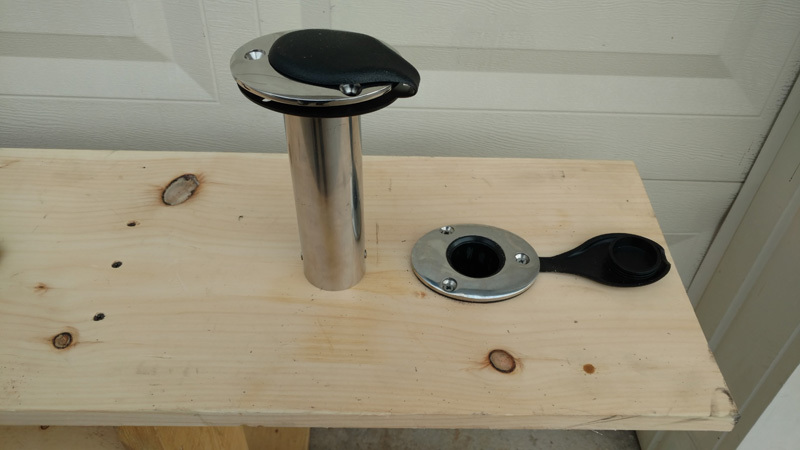 Not all rod holders are the same; some mounts have different diameters, depth and angles, so there is no guarantee that this will fit your rod holder. 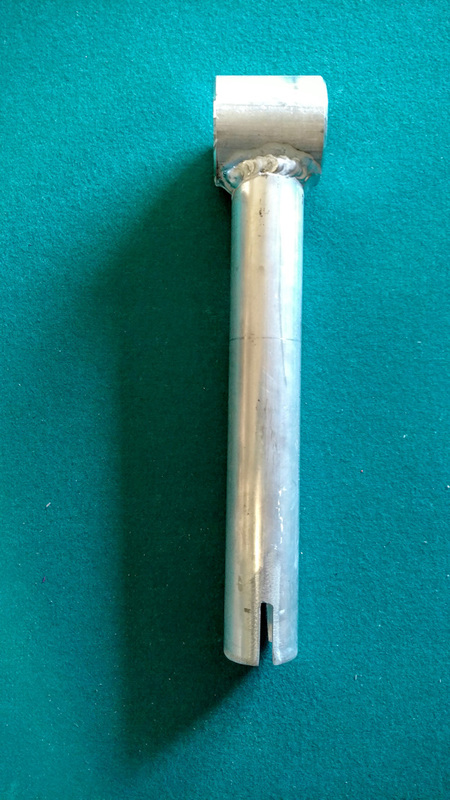 Pipe diameter is approx 1.575". Complete assembly. 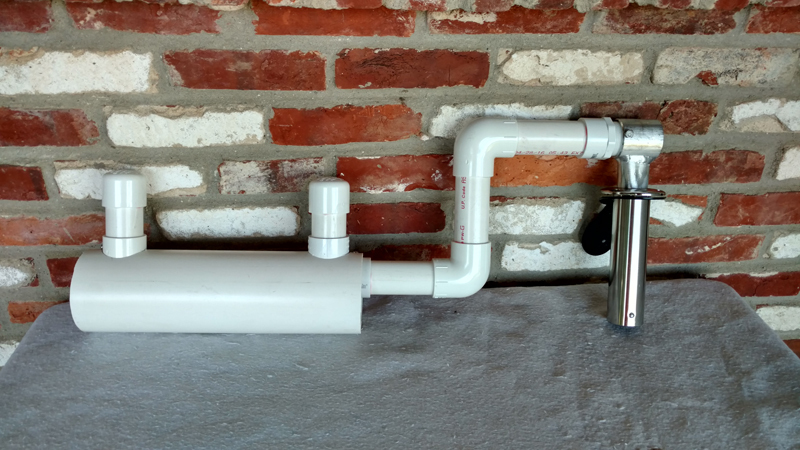 Just install SS rod holder and the PVC prop stick fits well and is removable. 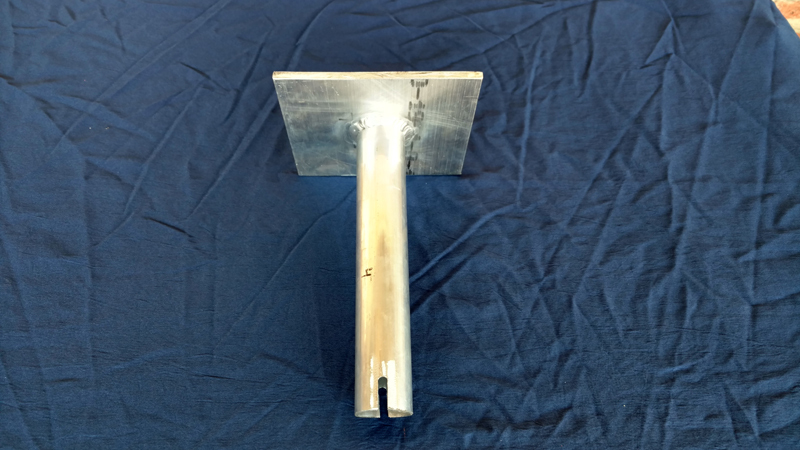 Now you can convert any type mounting bracket to a rod holder mount by bolting the mounting bracket to the 6" x 6" mounting plate. 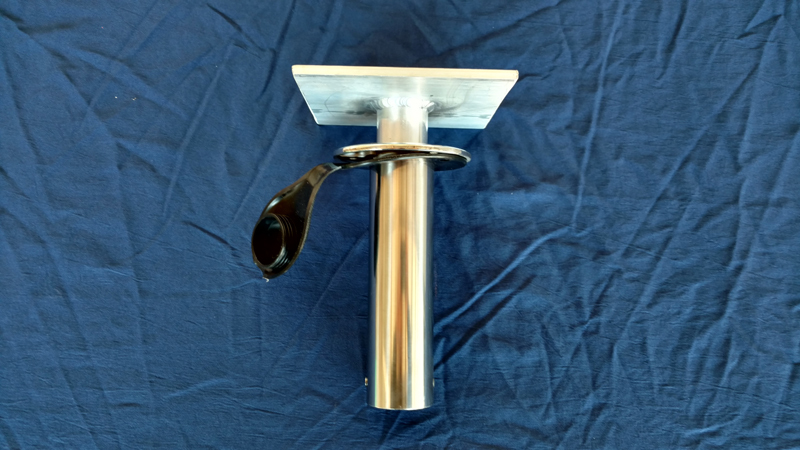 The overall length is 9" and fits securely with the slotted base that locks into SS rod holder (Item #11) included. Just need the rollers? 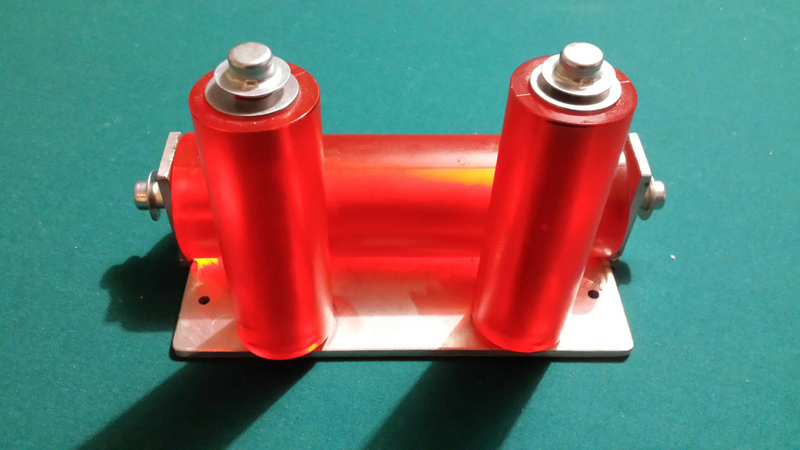 This roller is the same as #256 but mounted on a flat bar for easy installation on your existing arm. Overall size of roller assembly is 4" W x 10 " L. Our rollers are made of polyurethane and they are extremely cut and abrasion resistant. Won’t split or crack, even in extreme cold. 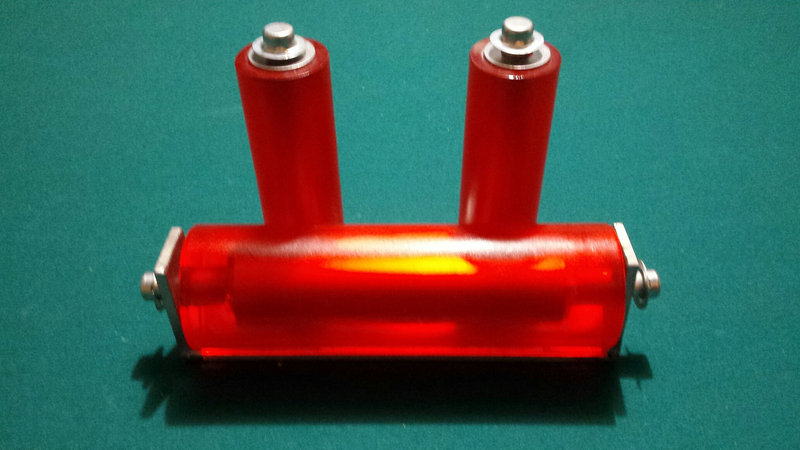 The long horizontal roller is 3" in dia x 9 3/4" L, and the (2) vertical rollers are 2" dia x 6" L. Weight is 6 lbs.